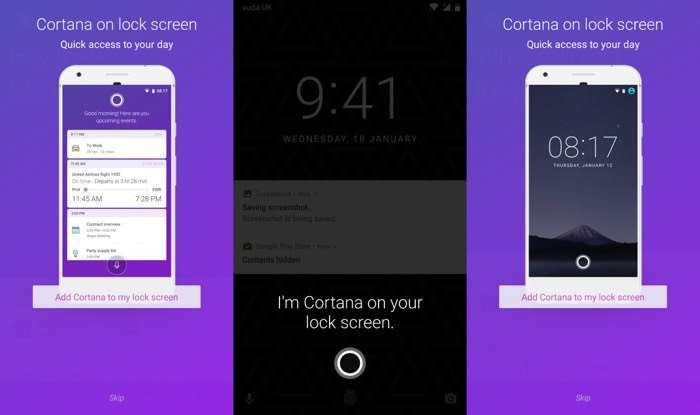 Microsoft is bringing Cortana to the Android lock screen, the feature will apparently be added to Android shortly. The company recently released a new version of Cortana for both Android and iOS which brought a new cleaner design with it. According to a recent report by the guys over at MSPoweruser, Microsoft is in the processor of testing out this new feature as part of their beta program for Cortana. The Cortana feature on the lock screen will work with existing lock screens, so you will not need to change to a new lock screen to use the feature. As yet there are no details on when the Cortana for the lock screen on Android will be made available, it is currently in beta testing.